Holistic Home and Heating Now that the summer is long gone and you’ve put your house fans in storage for the Northwest 7 month rainy stretch, let’s consider making every effort to stay warm in a holistically healthy way. Know your home’s envelope (overall energy consumption capacity). Realize that staying warm is only a part of the equation for healthy living. Clean air free of toxins that can build up from synthetic materials exposed to long-term home heating is critical. And the location of furniture with respect to heating appliances and the paths that air circulates in the home affects the overall health of its inhabitants… so thinking Feng-Shui actually makes “cents”! Just as whole-house fans during the warmer summer months can completely exchange inside and outside air with fresh oxygen, it is wise to apply the same principle during the winter. Beyond the usual spring and fall check lists we’ve posted on Mr. Electric Portland, take the initiative to service all appliances related to home heating. Inspect air-ducts and ventilation devices. If something is dirty or broken, efficiency is lost which translates quickly to cash loss as well. It doesn’t take an energy auditor to find seals and cracks – the “candle-trick” to locate air loss near doors and windows works too (but never where exposure to gas lines is!) If you’re a home owner: 1. Get your old furnace checked out. If it’s been over 10 years since the last upgrade, you can save BIG by installing a heat-pump; yes, even up to 250% heating bill savings! NOTE: A geothermal heat pump may receive a 30% tax credit in most states. 2. Consider a new thermostat – programmable types are the best since they control how much energy you are using as well as have the ability to manage the areas you want to keep warm. Extra Health Related Tips: A. When cooking, make use of overhead stove fans and leave a few windows slightly ajar with a ceiling fan on to allow for impurities to be vented outside. B. If you don’t have an air-exchange system, running a centralized air-conditioning system’s fan with your front and rear windows open for 15 minutes will replenish oxygen levels and allow for toxins to be flushed daily. C. Bring indoor plants into the home to “scrub” the carbon monoxide out of the air. Duct taping around windows and doors is unsightly; rather use insulation sealing foam tape. There’s a whole lot more you can do to increase energy savings in your place of living. So if you aren’t able to install a new heating unit because you live in a rental dwelling, a few basic and low costing measures still can be used beyond reaching for that Snuggie©. 1. Use a space (area specific) heater such as a sealed oil radiator – low power consumption but lasting heat retention allows for medium sized rooms to stay comfortable 2. Instead of duct tape for temporary sealing of windows and doors, use 2 inch wide 3M painter’s tape. It leaves no residue to clean up after that super cold spell has passed 3. Use area rugs to retain heat in rooms where you lounge the most 4. 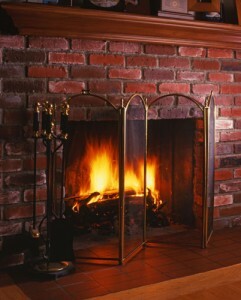 Although burning wood in the fireplace seems like a good idea, most of the heat is lost upward. So if you do, remember to keep the chimney fluke closed when not in use Sensible and safe methods to keep toasty during these upcoming winter months will keep you and your loved ones healthy and happy. Let us serve you and ensure your holidays are joyous and warm by calling on our professionals for maintenance and installations that will make you the wiser among your neighborhood and friends! Here's where stating the obvious isn't something to apologize for. If you spot any of these potential danger signals in any combination, do NOT attempt to touch the surface that are wet or damp. Rather contact a professional to determine the source of leakage. Like water, electricity also can "leak" in tandem using water as it's primary mode of seeking ground as the conductor. Avoid touching plugs or cables and ensure you are wearing insulated rubber soles near these areas. 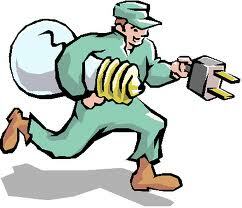 Staying safe through electrical consciousness is never secondary whether at home or work. Using good sense will save you and your loved ones from undue harm. So when calling on a professional, our experienced team of electricians are always here for you at Mr. Electric twenty-four seven!